Rachel Riley is the Deputy Director of SCIPP and is located at the University of Oklahoma. Ms. Riley studies the contexts in which climate information is used and engages stakeholders through a variety of methods. Currently, her work is focused on improving hazard planning to reduce the impact of weather and climate extremes on communities in the South Central United States. 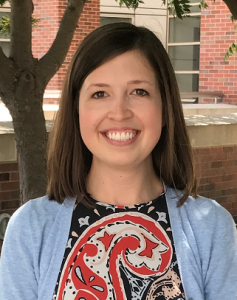 Ms. Riley earned her Master of Science in Communication and Meteorology (interdisciplinary) from the University of Oklahoma and Bachelor of Science in Meteorology from Iowa State University.